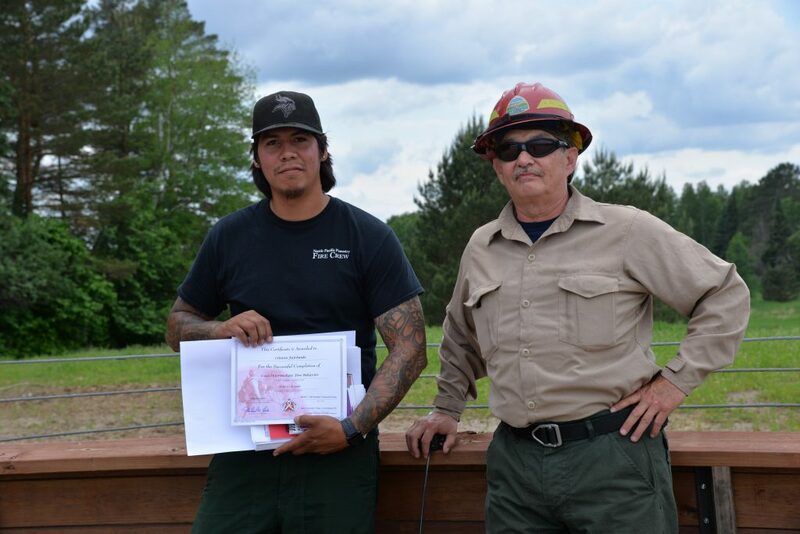 The 2018 Minnesota Wildfire Academy concluded another successful year at Itasca Community College in Grand Rapids, Minnesota. 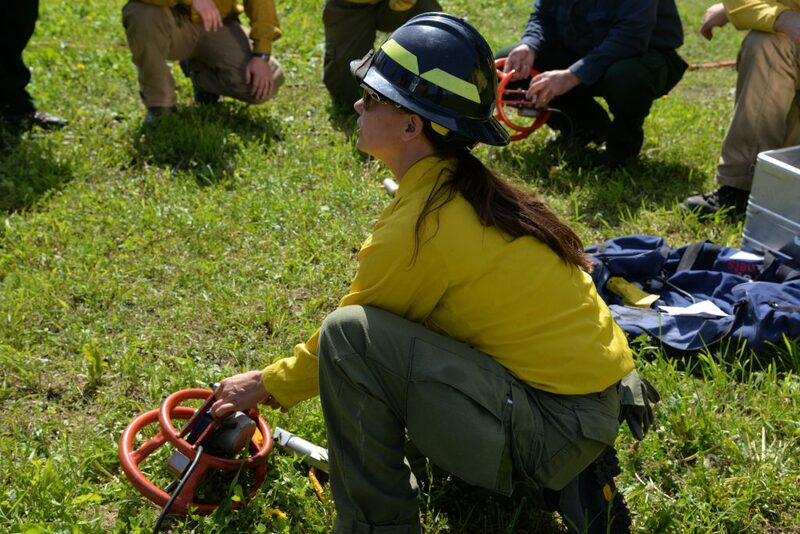 On Friday June 8, a total of 295 students attended 12 academy courses including Advanced Firefighting, Water Use, Engines and Heavy Equipment, Helicopter Sling and Intermediate Fire Behavior. More than 700 students attended 32 courses both in the classroom and out in the field. Academy success depends on collaborative efforts among several hundred dedicated staff and volunteers who help make the weeklong event run smoothly. It takes a large group effort to set up facilities to run each training session. Trailers were brought in for Communications, Logistics and Supplies and a large tent was set up to provide students shelter for lunches. Heavy equipment, hoses, ropes, chain saws, medical rescue equipment and sand tables were all part of outdoor field exercises held each day. Helicopters and fixed wing aircraft were positioned at the helibase with local ambulances participating in the field exercises. These organizations were integral in this year’s Wildfire Academy success: Minnesota State Patrol Short-Haul Helicopter and St. Paul Fire Department-Mark Team, Itasca County Sheriff, City of Grand Rapids Fire, Police Departments, Link Lock 3, Meds 1 ambulance, Visit Grand Rapids, Grand Rapids Chamber of Commerce, Minnesota Department of Transportation and the West Trout family that allowed use of land for field activities. Cooperating agencies include the Minnesota Department of Natural Resources, USDA Forest Service, US Fish and Wildlife Service, National Park Service, MN Fire Chiefs Association, MN State Fire Marshall, Minnesota Department of Public Safety, Homeland Security and Emergency Management, Bureau of Indian Affairs, Conservation Corps of Minnesota, Itasca Community College, University of Minnesota and the Minnesota North Central Research and Outreach Center. 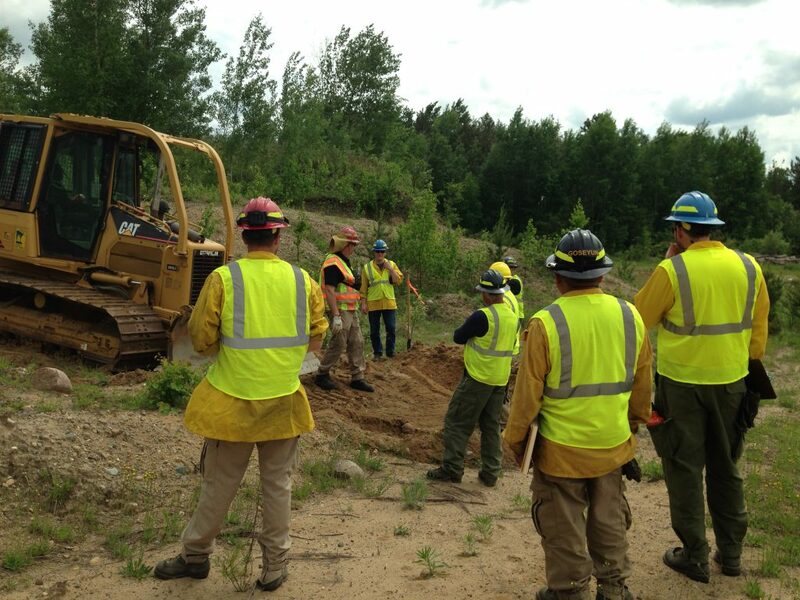 Follow @mnics for summer crew mobilizations and other wildfire news in Minnesota.